The swim takes place in Fuglsang Lake in Herning, a city renowned for its sporting events and facilities. The cycle heads south towards Billund. The route is flat and fast and athletes can expect some fast times from this course. 2017 European Tour Championship XTERRA. Challenge Kopenhagen wird zum Ironman Kopenhagen. 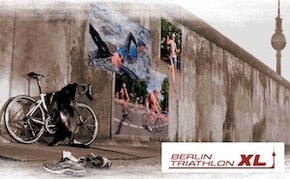 Nach 3 Auflagen unter dem Challenge Label wird die Veranstaltung seit August 2013 als Ironman Veranstaltung ausgetragen.